Whirlpool has increased prices to offset rising material costs. NEW YORK — As the Trump administration’s global trade war heats up, Whirlpool Corp. is feeling the burn. The maker of home appliances said rising raw material costs hurt results in three out of four of its regional markets in the second quarter, including North America, Asia, and its struggling Europe, Middle East, and Africa division. The only region where it didn’t cite input-cost inflation was in Latin America, which faced its own problems in the second quarter, including a Brazilian trucker strike. “Our annual steel contracts and hedging contracts with our base metals give us some protection but do not insulate us from these more material trends,” chief executive Marc Robert Bitzer said on a Tuesday morning conference call. Whirlpool plunged 14.52 percent Tuesday to $128.82. The stock had already lost 11 percent this year through Monday’s close. 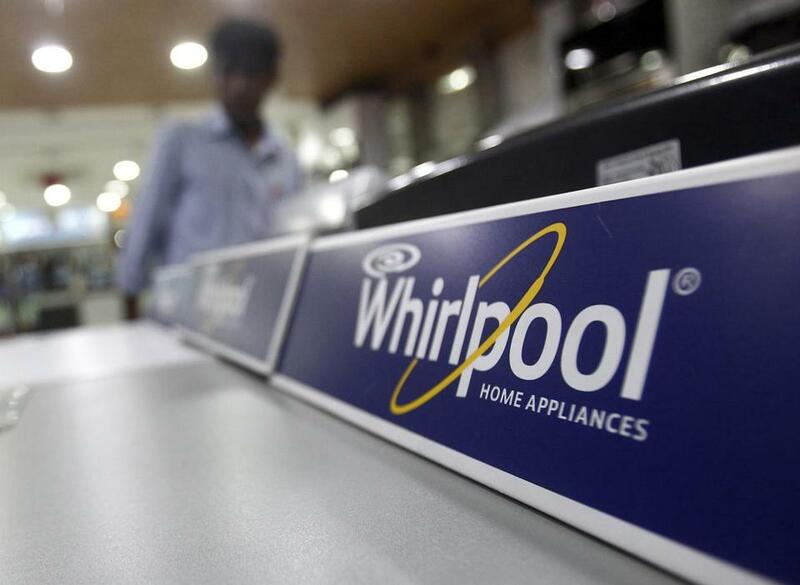 The higher raw material costs, paired with lower sales volumes and unfavorable foreign currency impacts, contributed to Whirlpool’s weaker-than-expected quarterly results. Net sales and ongoing earnings per share both missed analysts’ estimates in the three months ended June 30. The company’s ongoing full-year profit forecast missed the lowest estimate. The cost of protecting Whirlpool’s debt against default for five years jumped to the highest since November 2016, climbing 15 basis points to 98 basis points since the results were announced, according to data provider CMA. Whirlpool disclosed in its second-quarter presentation that raw-material inflation will cost the company about $350 million in 2018. That’s up from the $250 million to $300 million it predicted in April, and even that was $50 million higher than what it was forecasting back in January. The company cited steel and resin costs as particular concerns in the second quarter. President Trump in March placed a 25 percent tariff on imports of steel and a 10 percent tariff on aluminum imports from most countries. The United States allowed some exemptions for South Korea, Brazil, Australia, and Argentina. After initially exempting Canada, Mexico, and the EU, Trump extended the Section 232 tariffs in June to include those key trade allies. Whirlpool implemented price increases in several markets over the past year as input costs rise.